Music is More than Fun! Not surprisingly, music has shown itself to be helpful in learning once again. In fact, of my three children, Dallas, who has just turned 21 and was diagnosed with Aspergers just last year, but started vocal and piano lessons at 14, showed the most marked improvement, not only in vocal skills, but in problem solving, speech enunciation, concentration, focus, and memory enhancement. (an upgraded WordPress would allow some pretty cool home music performances on here!) I regret not having started them all on piano and vocal lessons much earlier in life, but no use wallowing in guilt about something that cannot be changed. However, if our experience will encourage anyone to consider such lessons for their children, starting as soon as possible, that’d be keen. Formal lessons to start wouldn’t be necessary. Just sing, clap, tap your toes with your children – you’ll have loads of fun, too! As they progress, introduce more complicated rhythms and/or a foreign language fun song as well. Those brain synapses will be stretching and growing all over! Whether you are a home, government, or private educator – put some music in those young lives! It’ll last a lifetime! Speech therapy?! Try SING therapy! A Musical Fix for U.S. Schools – an essay by Ms Joanne Lipman for the Wall Street Journal This essay, once again, explains the importance of music in our lives. Sadly, government and some private schools put this on the chopping block far too often. 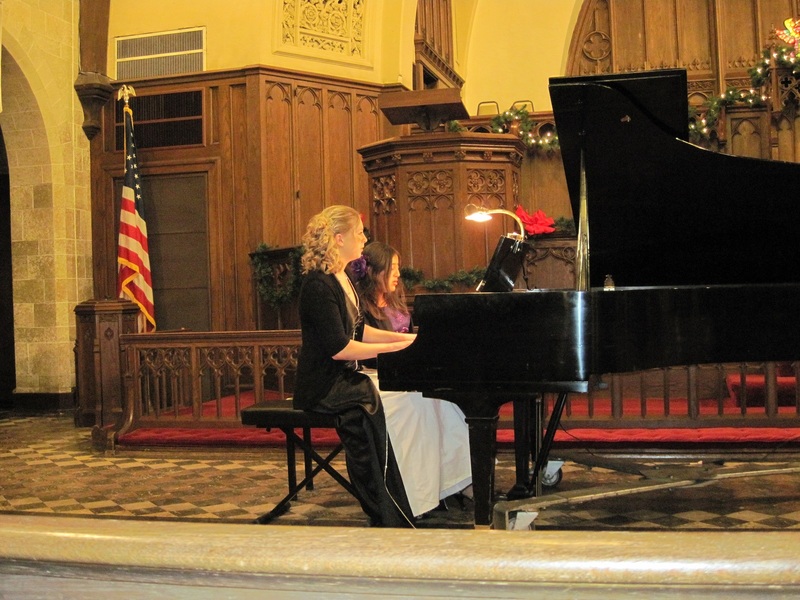 Jessica performing at the piano at Central Methodist University her sophomore year – 2010 – SAI music fraternity annual recital in Linn Memorial United Methodist Church. Jessica was very active in the music department through college, having received a vocal scholarship and was involved with the Chorale group and Conservatory Singers choir. Now graduated, spring of 2013, she teaches Kindergarten at The American School in Tegucigalpa, Honduras, where she also volunteers to direct the high school honor choir. She continues to practice piano when she has time. Dallas hasn’t put his musical skills to work yet, except to enjoy singing and making a joyful noise unto Yahweh! His voice is well-suited for baritone parts. He started out not even being able to hear a note on the piano and matching the pitch! Nathan continues vocal lessons locally and last winter was involved with Carousel Productions in Macon, Missouri. The six performances were sold out! Though he had initially been rejected at his audition for singing parts, he showed up and did so much better during practices, that he eventually landed FOUR small parts in the productions. 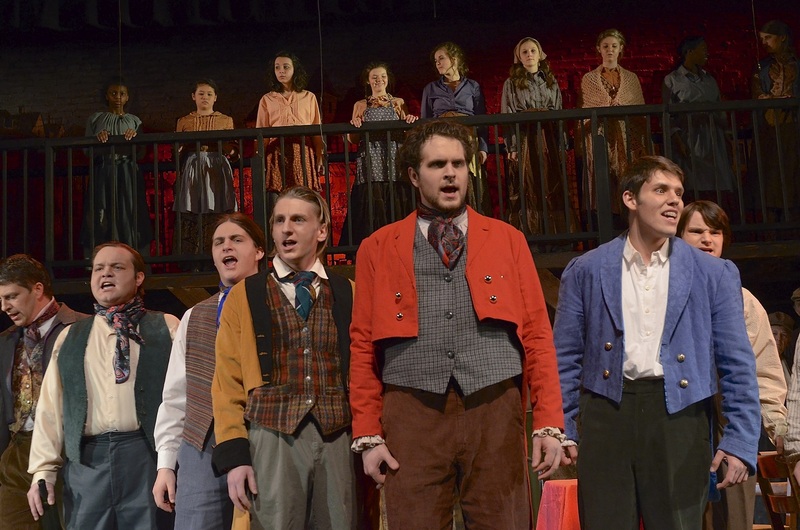 Les Misérables has always been one of our favourite shows, so it was especially sweet that he was able to participate.